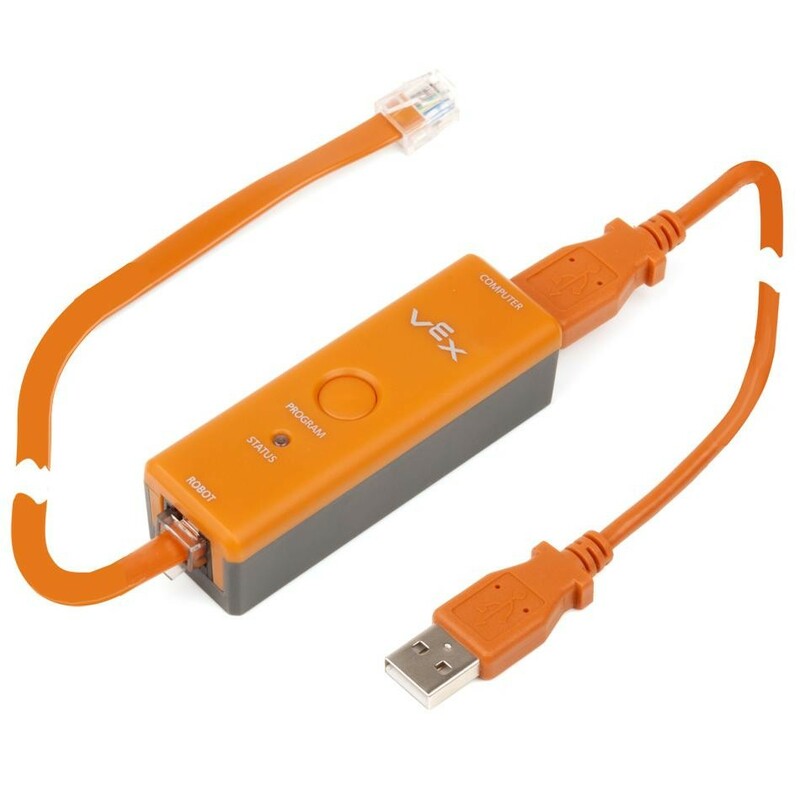 This kit provides a connection between your PC/Mac and a VEX Cortex Microcontroller through the VEXnet Joystick. 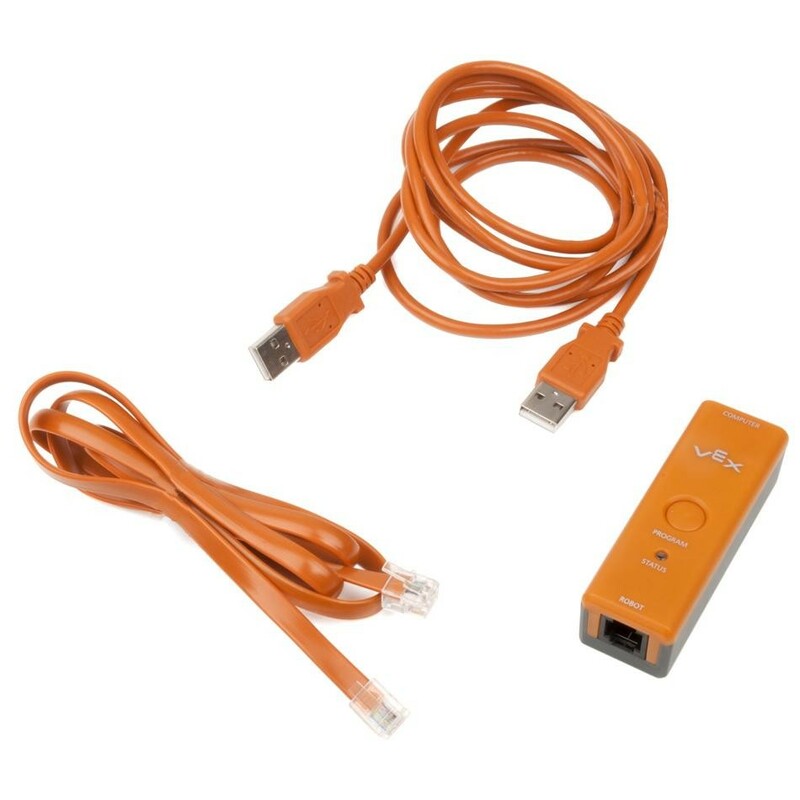 This kit provides a connection between your PC/Mac and a VEX Cortex Microcontroller through the VEXnet Joystick. (1) Programming Module. 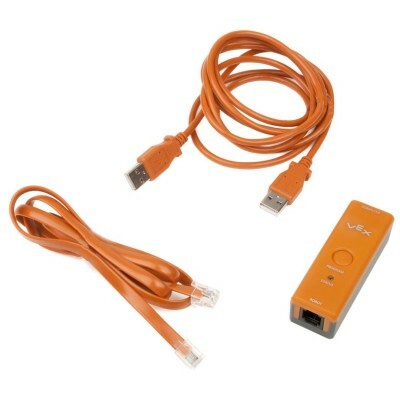 (1) USB A-A Cable 6 ft.. (1) RJ14 6-pin cable 3 ft..
Outputs: Provides power to the VEXnet Joystick when connected to a PC.